MOOG® has the reputation as “The Problem Solver” that can be traced all the way back to 1937. That was the year the company first produced a front-end replacement part recognized by mechanics as outperforming the factory original. Today, hundreds of innovations later, MOOG is recognized and respected throughout the automotive industry as The Problem Solver. It continues to earn that reputation by providing not only problem-solving parts, but award-winning technical support and training materials. 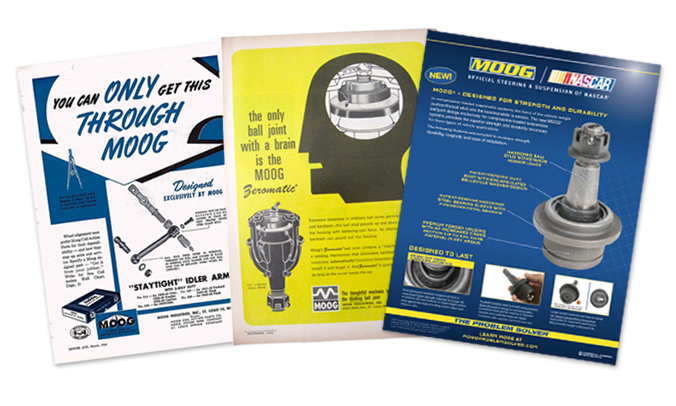 MOOG Problem Solver bulletins are one of the helpful tools technicians have come to count on. Click here for the Complete Problem Solver Library. Celebrating its 100th anniversary this year, 2019 marks the 54th consecutive year that the MOOG® brand has been involved in NASCAR®. To acknowledge this milestone, all cars feature a limited-edition MOOG 100 decal. 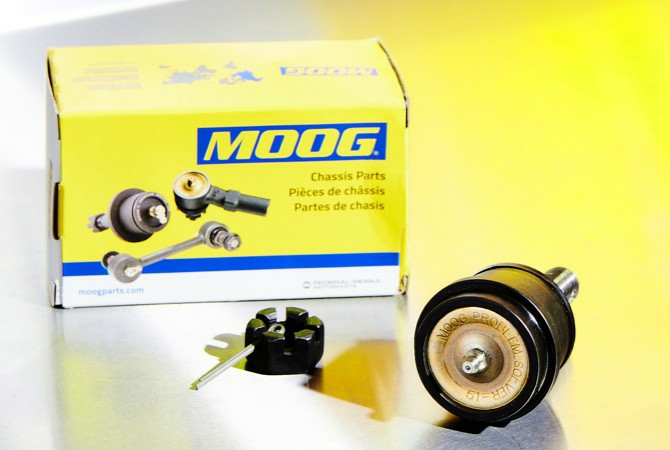 MOOG broadens its undercar product offering with the introduction of Hub Assemblies, Complete Strut Assemblies and Universal Joints. Brothers Alva and Hubert Prater (H.P.) Moog purchase the St. Louis branch of the Jenkins-Vulcan Spring Company. Jenkins-Vulcan makes and distributes automotive leaf springs mostly for Ford Model T cars and trucks.